Communication is the most important component of our life. Everything we do in this world is, in one way or another, connected to someone else out there. People communicate with each other in lots of different ways and for lots of different reasons, one of which is to find a soulmate in life. Dating services do just that. And there are a lot of them out there. At this age of freedom of self-expression and love, every group of people has a dating app that they can use to meet people alike. Whether it’s about interests or sexual orientation. It is very convenient; online dating is the way to go; while it has its downsides, it is still a lot more effective than just trying to meet someone in a bar or a restaurant. 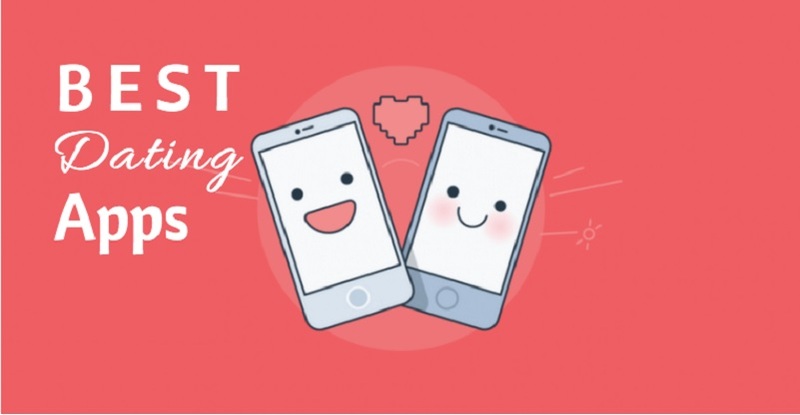 Dating sites were created with the goal, to choose the most suitable partner among all other possible candidates, and go on a date with that person. Sounds simple enough, right? Well, there is more to it. There are lots dating services out there, but which one should you choose? Which dating service will be able to satisfy your needs? There are many rating-sites for dating services. A lot of things are to be found on such sites, reviews, various top-5 and top-10 will help you understand which site is right for you. You should read the reviews (but do not forget that they can be written by competitors who try to belittle the service. The opposite is just as true: there may be lots of fake positive reviews). Usually, good dating services hold on to their visitors, respond to their feedback, and try to help them as soon as possible. Of course, this is not a 100% indicator of the decency of the service because all the new services will be lacking in this regard. But if you see a site that has been operating for 10-15 years, and only 500 thousand people are using it, this suggests that it is not very popular and good. There may be lots of reasons for that: inconvenient interface, lots of advertisements, lots of spam accounts, server instability, etc. The right way to go about it is to check out lots of statistics that are out there for one service: do they coincide with each other? If not, then maybe this service is lying to you. If it does, then stay away from it; it isn’t there to get you a partner – it’s there to steal your money and waste your time. It is good when the service protects its users; you should be able to see other people’s photos or read information from their profiles only after registration, no other way about it. If there is no such protection, then you will encounter lots of fake profiles, lots of spam, and in general, this model is a lot riskier for the user. Check out this service that allows you to find a dominant woman online: it is secure and reliable. Don’t miss out on such an opportunity! There seems to be a stigma about paid dating services. You should not be afraid of them, quite the opposite. It is no secret that paid services help you find love faster: they are better moderated, and there are little to no spam accounts and fraudsters there, so why would any scammer spend his own money on something like that? This paid wall acts more like protection from all these nasty things that will haunt you in free-to-use dating services. However, you should not let your guard down, since this way your credit card information may be in jeopardy. Thus, the bigger the paid dating service is, the better off you are really. Sites like Match.com or Zoosk are pretty good, but our personal favorite is called eHarmony; be sure to give it a try. All three of them are reliable and have their own trial options, so you can check them out for yourself without spending money. If you follow these simple rules when searching for the perfect service for dating, it will be easier for you to find the right one that is suitable for you in every way possible.